Equisales’ engineering professionals have more than 100 years of cumulative experience in the global power industry. Expertise in sales, financing, transformer design and fast-track construction gives clients a competitive advantage during time-critical projects. Our electrical engineers are available to assist with all aspects of substation design, transformer assembly and installation, including ground-up builds, expansions and upgrades. We also create custom designs for substations, switchyards and other high-voltage facilities. Our engineering, procurement and construction (EPC) capabilities would not be possible without our staff of electrical engineers and high-voltage specialists. Thanks to our engineering teams, we offer these comprehensive services at specialized sites maintained by clients around the world. Each service is carefully engineered to meet the client’s unique requirements as well as applicable environmental and safety regulations in the build country. We are available to perform comprehensive services as an EPC provider or to offer on- and off-site assistance as an adjunct engineering partner. Using in-stock high-voltage equipment and in-house services, our engineers guide fast-track projects from planning to completion. During annual maintenance, engineers are available to perform tests, analyze results and make service recommendations. If repairs are required, we can select and install a replacement that offers excellent performance. Our staff of electrical engineers can assess your power requirements and develop cost-effective plans for maintaining and expanding substations. Properly engineered upgrades enhance the grid and increase reliability. When we design new high-voltage sites, our engineers consider energy use and growth trends to see how the site will look as demand increases. Future-oriented planning in the project’s early stages enhances results after close-out and when upgrades are completed. Modular rental units are also available when short-term solutions are sufficient. 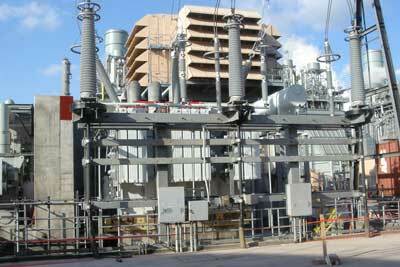 When clients require fast results, our rental substations offer multiple benefits. Engineers can create substation plans based on in-house or client-supplied specifications. All equipment is provided, installed and maintained according to the rental agreement. We provide engineering services during new constructions, rental installations and expansions too. Our engineers handle all aspects of the design process from feeder line specifications to equipment selection. We provide engineering services that aid in the completion of fast-track projects. Field teams can perform all aspects of an installation whether they are supporting the development site as an EPC contractor, sub-contractor or planning consultant. Our in-house engineers are available to create customized plans for fast-track substations and distribution sites. We can guide construction activities and augment client teams. To learn more about our electrical engineering capabilities or to request a quote, call Equisales at 713-733-3999.